Ali Mahmoudy, Partner: EuroMena has differentiated itself from other investment vehicles through implementing its unique investment strategy: Acting as businessmen at first, applying a hands-on approach to each portfolio company, and developing very close relationships with the different stakeholders. For the past 12 years, EuroMena, headquartered in Beirut and Malta, has been constantly eyeing attractive investment opportunities in the Middle East and Africa. The EuroMena Funds are private equity funds investing across several industries with the sole exception of real estate. 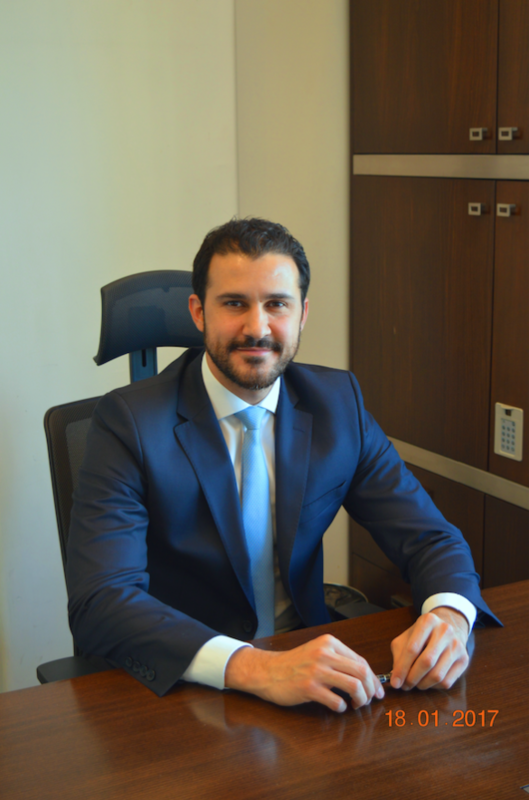 The Fund’s Management Company is one of the first in the region to be regulated under the European “de minimis” AIFMD (Alternative Investment Fund Managers Directive) in Malta, says Mr. Ali Mahmoudy, Partner at the EuroMena Funds. The firm invests in scalable business models and high growth industries such as Retail & Consumer Goods, Food & Beverage, Education, Healthcare, Financial Services, Energy and Information Technology. “Investment criteria are focused on the management team capabilities, business model, market presence, corporate governance, and most importantly the people and the growth strategy of the investee company” re-emphasises Mahmoud. “For instance, EuroMena has been able to transfer ITWorx, an IT solution provider, from local Egyptian to a global business serving North American, European, GCC and African clients due to its scalable business models”, notes Mahmoudy. Today, EuroMena is preparing the exit of this investment to a regional or international strategic IT player. In 2007, EuroMena invested in National Printing Egypt, a market leader in producing laminated boxes and corrugated sheets. In fact, the growth strategy of National Printing was focused on vertical integration by building the biggest duplex board manufacturing plant in the Middle East. Today, after the construction and commissioning of the plant, EuroMena is preparing its exit from this investment this year. One of EuroMena success stories is its investment in Sodamco – the Lebanese market leader in chemical construction material. EuroMena supported Sodamco’s growth plans in the region leading to a successful divestment at a later stage to Saint Gobain, France, the global leader in the same industry. In addition, the Fund invested in 2008 in Chedid Re SAL – the leading insurance and reinsurance brokerage firm which was able to expand, with the help of the Fund, into new markets such as GCC, Eastern Africa, Eastern Europe and UK. Leveraging on its years of experience in the region, EuroMena has differentiated itself from other investment vehicles through implementing its unique investment strategy that Mahmoudy highlighted its 3 main pillars: • Acting as businessmen at first, identifying business development opportunities, developing solid growth strategies and optimizing the operations while strengthening corporate governance and management capabilities. • Applying a hands-on approach to each portfolio company, through constructive Board and Executive Committee participation and Chairmanship of the Board whenever required. In addition, putting the Fund’s professional network at the disposal of its partners in to provide financial, legal, tax and strategy expertise. • Developing very close relationships with the different stakeholders, including Limited Partners in the Fund, Shareholders, Board Members and Executive Management in portfolio companies, and the Fund’s Advisory Board Members. Despite the various economic pressures in the region and worldwide, the EuroMena Funds have successfully raised more than $300 million (EuroMena I, II and III) from Public/Quasi Public European institutions such as the European Investment Bank (EIB), the French Public Wealth Funds – Proparco, and the Caisse des Depots, the International Finance Corporation (IFC), The German Investment and Development Corporation (DEG), the Électricité de France (EDF), and the UK’s Development Finance Institution (CDC Group), in addition to more than 45 private investors from the Gulf and the Levant regions. EuroMena I has been fully invested and successfully exited six investments, generating more than two times money on the invested capital. Additionally, it is currently in the process of exiting the remaining portfolio companies with similar levels of return. EuroMena II is fully invested in six companies with divestments expected to start as of Q2 2017. As for EuroMena III, the Fund managed to conclude three investments in leading companies operating in Sub-Saharan Africa, North Africa, and Lebanon in the FMCG, Apparel Retail and Banking sectors. The fourth investment is expected to close during Q1 2017. To conclude, over the last decade, the EuroMena Private Equity Funds provided intrinsic values to its investors on several fronts: a high return on the direct investment in the funds, an additional premium return on all co-investments opportunities, and additional revenue streams for Limited Partners which partner with the portfolio companies in various countries.